Why You Should Never Pop Your Pimples. I don’t break out, or so I thought… until three days ago. The other day I looked in the mirror and cringed. I discovered a huge pimple on my chin just in time for a wedding that I am going to this weekend…perfect timing right? I never experienced popping a pimple and I hope I never do, but I picked this one and I have never seen my roommates yell faster at me than after I told them. I didn’t know and now I have a giant scab on my face. I tried googling everything under the sun to get rid of it, but everything thus far has failed me… I’m just going to give it time and let it do it’s thing. But this whole thing got me thinking- why do pimples scar? You would think that the cells recreate themselves and the skin would die off eventually creating new skin, but that’s not the case. It turns out that it is very dangerous to pop pimples! 1.Doctor Julia Tzu advises that inflammation can become much worse than what the pimple already has if you pop it. With this scars can occur when the area is effected. 2. Scabs can be formed. Mental Floss explains how a scabs occurs, but scabs are harder to cover up than a pimple so do not pick at the acne. 3. Discoloration can occur. Post Inflammatory Hyper-pigmentation-PIH is when the spot is darker than the skin around it. 4. Infection can occur. If your hands are dirty, you use a dirty tweezer (or whatever you use),etc. you are putting yourself at risk for an infection. You are entirely taking a gamble (Or a chance!) When you pop a pimple. Confounding Variable- How many times you’ve picked the pimple, if you keep touching the area, if you’ve used past things on the spot to remove the pimple, etc. This experiment concludes that you will get a scar from picking a pimple- chances are the scar will be minute, but you can make it worse. It’s best to leave the pimple alone when you first see it on your face. 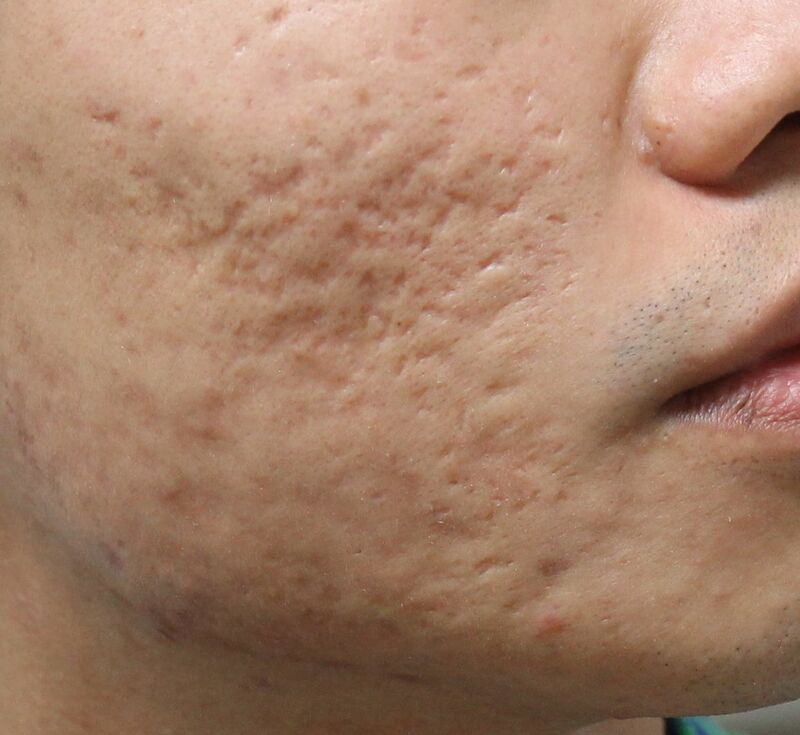 In this journal, people explain how acne scars can never fully go away, the results of a scar are permanent and can never fully disappear. Yes, the scarring can be minimal, but you will never have “perfect” skin ever again. This study was done after looking at lasers/how the skin is made up. By learning all of the ingredients in what you are using on your face, you can find what works and what doesn’t. I would look at acne as both an experimental study because you can try a million home remedies/different medications or scrubs, etc., but it will take a while to learn what works on your skin and prevents future pimples from appearing on your skin. 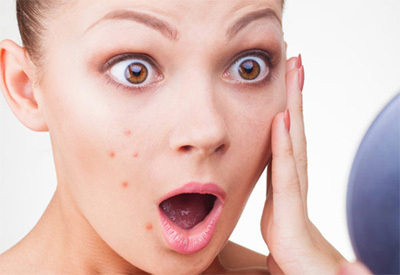 I think people can watch acne appear and see it go away or reduce; you can see a scar clearly on a person’s face and you can see when a pimple is inflamed. I think people cannot predict when they are going to break out or if they’re going to wake up to a pimple on their face in the morning, but they can use preventable ingredients to lessen the looks of the pimples. Why would anyone want to risk ruining their skin permanently??? Next time you think about popping a pimple, take a step back and think about your face. This entry was posted in Uncategorized on November 29, 2016 by Kaitlyn A Kaminski. Every Tuesday and Thursday I get my energy booster, coffee, to push me through the long day. Today, my energy buzz did not seem to last as long and I started to wonder whether I am beginning to develop a tolerance for caffeine, or if that is even possible. I notice many other college students consuming the caffeine filled beverage, some using it as a crutch. 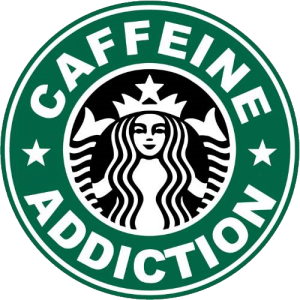 I already know caffeine is addictive, but I am curious as to how the ingredient interacts with the body or the brain to give the reaction it does. Also, I wonder if there can be a tolerance built up for it. Neal J. Smatresk explains how caffeine temporarily interferes with natural body chemicals. He says it blocks a neurotransmitter called phosphodiesterase, (PDE for short) which has a very important job. PDE helps get rid of cyclic adenosine monophosphate (also known as cAMP), so caffeine eventually leads to the inhibition of cAMP being disposed in a timely manner. With cAMP lingering, a chain of reactions occur that result in the common hyperactivity experienced during a caffeine buzz. The heart speeds up and goes faster, which also causes there to be more oxygen to be delivered to the brain, and also a higher than normal blood pressure. The chemical processes are not the only effects seen from caffeine. As I said early, a lot of college students are familiar with the physical experience caffeine gives. I get extra caffeine on Tuesdays and Thursdays to keep me awake and my experience is backed up by data. In a random double blind experiment conducted by Wing Hong Loke, students at the University of Iowa were randomly split into three groups. Each participant had a capsule given to them with either a placebo with no caffeine, 200 mg of caffeine, or 400 mg of caffeine. Just like when I drink my coffee, the group that had 400 mg of caffeine were less tired. The Alcohol and Drug Foundation list some other common short term effects such as anxiety, alertness, frequent trips to the bathroom, and stomach pain. Especially with finals coming up, I expect more and more students to be taking advantage of these effects to spend long nights studying. Some people claim to need caffeine to function regularly which is a sign of the tolerance that can be developed from habitual caffeine use. In one study at Vanderbilt Medical Center done on adults of varying ages from 21 to 52, caffeine and a placebo were varied in their meals for 21 days. A tolerance was observed to be developed after 3 days. The blood pressure spike that we’ve learned happens from caffeine did not happen in subjects on the 3rd straight day of caffeine. These results show that tolerance of caffeine can be developed, and my original hypothesis is correct. I wonder if because I do not have coffee for consecutive days, if my tolerance has taken longer to develop. I know I consume caffeine in a lot of other aspects of my diet, but maybe not as much as the days when I have a coffee. Confounding variables could also be playing a role in my tolerance and the group in the study is slightly different from me. They were on a controlled and monitored diet, and had not had any caffeine in the 3 weeks before the study took place. I was able to answer my question of how caffeine works internally, and also confirm my hypothesis of a tolerance being developed. This entry was posted in Uncategorized on November 29, 2016 by Erin Nicole Kemp. Why is there Savant Syndrome? In AP Psychology Junior year in our unit when we learned about Autism we also learned about savants and Savant Syndrome. I had heard the word before but I didn’t know much about savants. I had seen episodes of shows like 60 minutes where they would show someone who has some sort of disability yet is really good at one certain thing. 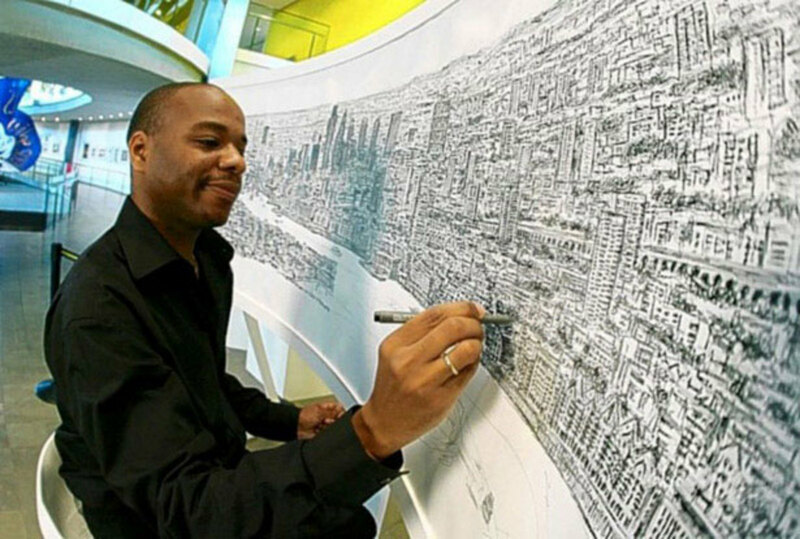 I was confused while learning about Savant Syndrome because it didn’t make sense to me that someone who had a disability was so talented at something, even more than the average person. Someone who functioned not nearly like an average person was way better at a task than normal people were. That really did not make sense to me. What exactly is Savant Syndrome? When I did research on why exactly Savant Syndrome happens I came across Bernard Rimland, he studied over 34,000 cases of Autism in his lifetime and he found that when studying the autistic patients that had the savant skills they were skills found in the right hemisphere of the brain. He also found that the skills these people lacked, that most do not, are skills associated with the left hemisphere of the brain. This seems to me like people with the Savant Syndrome has more access to their right brain. Maybe not more access but I think it would make sense that because they have deficiencies in their left hemisphere this would make their right brain stronger and perhaps this is why they are very talented in certain skills. After reading the first source I realized that there is probably a link between autism and Savant Syndrome. All of the patients of Rimland’s had Autism and he used them to study the savant skills they had. So, I decided to do some research on this realization of mine. In the piece of research I found it is explained that not everyone who is autistic has savant skills and vice versa but there is definitely a correlation between the two. This source also mentions that there are savants who are average people who were not born with Autism that can develop savant skills after an event where they have had brain damage. That logically does not make much sense. If someone has serious neurological damage why would they develop an extremely above average ability. Something traumatic happens to their brain and then somehow they have acquired an amazing new skill. It is baffling to think about and although scientists and doctors know some information about Savants I think it is also baffling to them and they will not fully understand them for a long time. In the same source it talks about how these savant abilities all have the cause of them in common, abnormal brain activity. Another source I found says that their may be a genetic part of Savant Syndrome. This piece talked about how the prodigies with Autism, what this source considered savants, are more likely to have a member of their family with Autism. They didn’t provide any more information about this so I can’t really agree with this statement. I do agree that Autism definitely seems to have a genetic link but I am not convinced that Savant Syndrome does. I am aware that it is common for people with autism to also be considered a savant but I don’t think that would prove that Savant Syndrome itself is genetic. Scientists have pinpointed the fact that the abnormal brain activity is the cause of the savant talents but there is not much further detailed information about it that I have not already covered. “Savant Syndrome.” Savant Syndrome. N.p., n.d. Web. 29 Nov. 2016. Kaufman, Scott Barry. 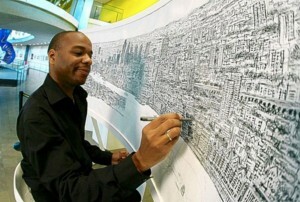 “Where Do Savant Skills Come From?” Scientific American Blog Network. N.p., 25 Feb. 2014. Web. 29 Nov. 2016. SingularityHub. “Unleashing the Power of the Savant Brain in All of Us.” Singularity HUB. N.p., 30 Mar. 2011. Web. 29 Nov. 2016. “The Science behind Savants.” The Advisory Board Daily Briefing. N.p., n.d. Web. 29 Nov. 2016. “Neurowiki 2013.” Savant Syndrome – Neurowiki 2013. N.p., n.d. Web. 29 Nov. 2016. This entry was posted in Uncategorized on November 29, 2016 by Kate Billings. Does Biotin Make Your Hair/Nails Grow? I went out on a limb and decided to cut my hair to my shoulders and it was quite possibly one of the worst decisions I’ve ever made. I then proceeded to make this decision even worse by getting layers…My hair has never been shorter and I want it back to the length that it once was- so I decided to take Biotin gummies- specifically Nature Bounties. 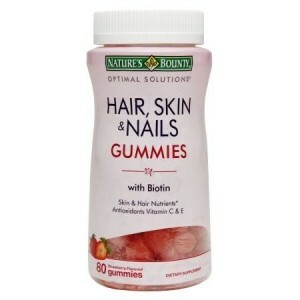 With these gummies I took them twice a day and saw my nails grow obnoxiously, but my hair not so much.I realized that while my hair had no significant difference, my nails did-so I wanted to take a look at how Biotin works. Biotin also know as “Vitamin H,” is a part of the Vitamin B complex and promotes healthier skin, hair, nails and liver. The vitamin also assists the nervous system in functioning normally. Although it is rare, people can be deficient in Biotin- it happens and cracked corner of the mouths, hair loss, and brittle nails are just a few of the symptoms to look out for if this should ever come across in your life. I decided to test this like I said previously on myself because I did not want to spend money on extensions nor have the patience to wait for it to grow- although I was let down by the results…my nails looked great! Confounding Variable- How fast my hair grows, chemicals used from hair dye could have ruined my hair, genetics, etc. My roommates have tested the vitamin on their hair with the capsule forms with different brands and saw that their hair was less likely to fall out, it wasn’t growing fast than usual. In more recent trends celebrities like Kim Kardashian among others have sponsored Sugar Bear Hair, a blue bear gummy with a high dose of Biotin in them. These bears have been all over the place because people swear that their hair has grow up to six inches in 3 months of taking them which is double the length of not taking Biotin vitamins. I have yet to try these gummies, but results vary for everyone. By looking at my study I have concluded that Biotin can work for some people and the end results are different for everyone because everyone is different. 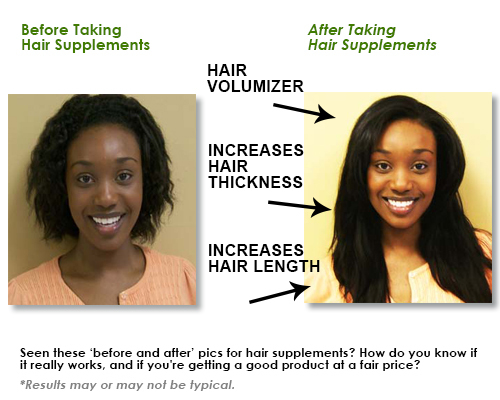 There is no reverse causation in this case because Biotin makes hair thicker/stronger the same with nails… If you had all of these previously and took Biotin- you might not notice a difference in your results. However- Biotin does not make hair thin or brittle or nails weaker so in this case, reverse causation is ruled out. I’m attaching a study that was done with Biotin therapy on a boy who had UHS- Uncombable Hair Syndrome… the results were amazing! This study was entirely experimental although you can argue observational because the results were visible. His mother decided to test the boy’s hair follicles and see if the structure would change and if UHS would improve- check it out! Does Music Reflect Who We Are? As an avid music listener, I am constantly exploring new bands and artists to listen to. Sometimes, I will even find myself forming attachments to the music that I enjoy a lot. I know that I am not the only one who feels this way. I have heard many people say that a band has changed their life or that a band has gotten them through tough times. Many people also believe that music is a good creative outlet for self-expression. What is it though that allows us to become so attached? The null hypothesis in this case would be that music does reflect who we are as individuals and my alternate hypothesis would be that music is not a reflection of ourselves. This is the question I have always wanted to know the answer to and hopefully by doing research on this topic I will have an opportunity to find the answer. Multiple studies at the University of Cambridge have been conducted to test the following theory: are you what you listen to? Researchers led by Dr. Jason Rentfrow have employed an experimental study that entails researching the link between musical taste and personality. First, they formed sample groups. Rentfrow then asked them to consider six genres of music: rock, pop, electronic, rap, classical, and jazz. This was the only information that was provided to the subjects because researchers were interested in the assumptions people would make. Next, the subjects were asked to assign each fan a rating depending on different personality types: extroversion, agreeableness, conscientiousness, neuroticism, and openness. All of these qualities would be considered as soft endpoints because they are all based off of emotions and characteristics and are not factual. 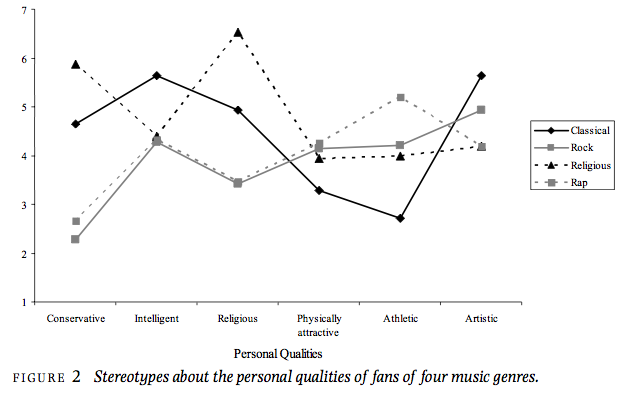 Afterwards, subjects rated fans on qualities such as intelligence, physical attractiveness, and athleticism. In order to be more comprehensive, subjects were also assessed on a total of eighteen different values that fans might find important. To add to the list, they were also assessed on social class and ethnicity in order to provide more personal background information. These results reinforce the idea that music is a very powerful form of self-expression.Music is also a way to reinforce stereotypes because we are often quick to make assumptions based off of tastes. For example, in the study jazz fans were viewed as friendly people and emotionally stable, but also were not good with responsibility. This demonstrates that people have a tendency of making statements of self-expression through self-image and personality types. There are a few factors of this study that could have been conducted differently. For example, the researchers didn’t utilize a single-blind study which decreases the chance for efficiency since a single-blind study is a study where the researchers, but not the subjects know of the treatment that is being implemented into the study. Since there were so many topics the subjects were being assessed on I believe that they should have been broken down to either separate tests or separate portions. 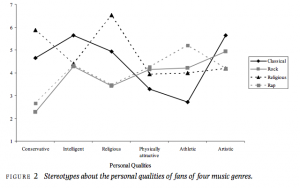 Six years ago Dr. Adrian North conducted a cross-sectional study to find the answer to the following question: Is there a connection between music style and an individual’s personality? North started this study by surveying 36,518 people. These people were from over 60 different countries and had a total of 104 different music styles in addition to a description of their personalities. As a result, North found that people who preferred music such as opera, jazz, and classical usually had a higher income in comparison to other people that preferred to listen to different music. A third confounding variable that could potentially affect this study is that there are too many people from one place or region, therefore it would not be an equal distribution of representation. With this study I would say there would be a possibility of reverse causation at play because an individual’s personality can very well affect someone’s music style and vice versa. The downside of this observational study was that some participants did not give honest responses. This is because these people wanted to present a certain image of themselves and knew that their music taste could portray their values and personality types. In my opinion the idea of this experiment was good, but the overall implementation could have been improved. I think having a meta-analysis study is smart because it allows you to have varied information.Scientists conduct meta-analyses because it’s an effective way of gathering more information by combining data from individual studies. In a way, this is like the prayer study because even though the experiment was conducted well it turned out to be incorrect due to other scientists continuing to do the same study as well as participating in peer review. This image depicts different personality types with different genres of music. Although the second study was observational, the overall results displayed that music can be a very powerful form of self-expression that correlates music with a reflection of who we are as people. There was a need for a meta-analysis because the information from meta-analyses are very insightful and comprehensive. Overall even though both of the studies slightly differed, the point that was emphasized in both is important to the main idea. This entry was posted in Uncategorized on November 29, 2016 by Darcy Pacheco. 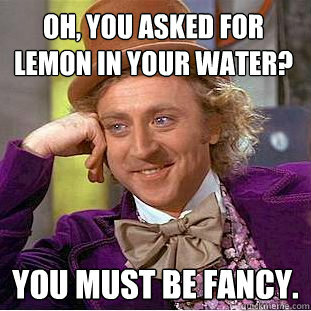 My go-to drink at any restaurant is a water… with lemon. If they forgot the lemon I let them know. I’d rather not drink it without one. I figure this tastes great, is low in calories and it’s free. It’s a win, win, win! All my life I’ve been taught that lemon water also has health benefits, so I wondered, what were they? And to what extent are they beneficial? I did my research. Lemon water is at it’s peak beneficial properties when drank at room temperature, according to this article. While you may enjoy lemon water while out to dinner in a tall glass that is containing mostly ice, the ice cold water makes the lemon more difficult to digest in your system and is not all that much of a benefit. 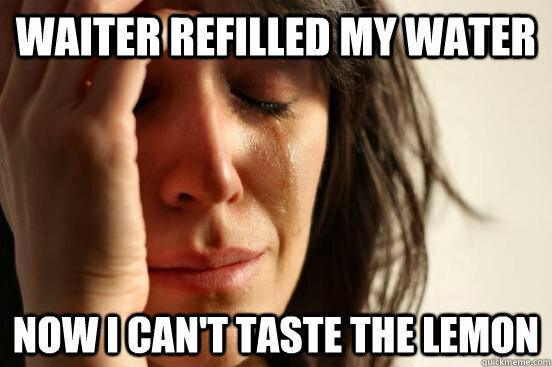 Likewise, piping hot lemon water isn’t all that great either. While it may be a nice alternative to tea and seem very “healthy”, the hot water wipes away some of the key enzymatic properties in the lemon juice, so you’re not getting a lot of nutrients there either. Plain old room temperature water is the best option for lemon water drinkers who are looking to get the most out of the benefits and not just the taste. There are a lot of benefits of lemons that I have never heard of until researching that make it such a healthy drink. While I thought that lemons just contained a vitamin or two, they appear to be much more than that. As shown in this article, lemon’s have many properties that make it a great flavor for your water. One of these properties are that they rich in Vitamin C. Vitamin C is what works against sicknesses like the cold or flu, so drinking lemon water around these times of the year would do you well. The citric acid in lemons can help to dissolve kidney stones which is a major blessing in disguise. Lemons strengthen both your eyes and your blood vessels. They are also beneficial for cleaning your bowels by promoting waste elimination. I kept reading up on lemon water and saw over and over again that it “helps you lose weight” or “helps shed pounds off”. When I looked up if this was true or not, I was shocked at my results. This health website wrote a specific article on three beverages that help you lose weight more efficiently as opposed to drinking lemon water. The three drinks listed were ice water (which shocked me the most), green tea and coffee. Who knew?! These drinks apparently speed up your metabolism faster than lemon water ever could. While ice may not be good to put in lemon water to get the most out of the lemons benefits; it certainly is still great for your body! While I now know that lemon water may not be the best for losing weight compared to other drinks, it still tastes good and doesn’t harm you, so I will go on enjoying my favorite drink! This entry was posted in Uncategorized on November 29, 2016 by Caroline Sorrentino. As children, my brothers and I did not have too many restrictions in terms of what extra-curricular activities we participated in; the two requirements we had was that we had to play a sport, to get good exercise, and we had to play an instrument, because my mom said playing music helped with cognitive growth and development. As a result of this, my older brother and I can play guitar, and my younger brother can play piano. Besides gaining a neat party trick, I wonder if learning how to play an instrument actually helped develop our brains and attributed to our academic successes over the years. The Null Hypothesis: Involvement with music* as a child does not aid cognitive abilities. The Alternative Hypothesis: Involvement with music* as a child does aid cognitive abilities. *I would like to clarify that when I say “Involvement with music”, I do not mean simply listening to music. What I mean is the child is involved in the creation of music in a structured setting; not simply listening to music in general in life. A variety of studies took different approaches when looking at this question. A study conducted by three professors in the department of history at Sam Huston State University examined the effects of early music training on child cognitive development. Their study had a sample size of 71 children of the ages 4 to 6 years old. At the beginning of the experiment, all of the children took two tests; one was an assessment of their musical skills, and the other was a multi-part intelligence exam. After that, roughly have of the participants took part in a 75 minute long, parent involved, structured music curriculum. When the duration of the curriculum was met, both the students involved in the music curriculum, and those not retook the same exams from before the experiment. Post analysis of the results, it was shown that those involved in the music program had substantial gains in their music skill assessment, as well as the memory exam section of the intelligence exam. The second source I found which looked at regards of this question, was a meta-analysis done by Jane M. Standley of Florida State University. This meta-analysis looked at music reading, music learning, and music participation’s involvement in improving one’s academic abilities. While meta-analysis do tend to be more reliable than solely looking at individual studies, this one especially because it even includes other meta-analysis in its review, this one acknowledged the difficulty in doing such a study for this question because the studies looked at a diverse array of how one approaches musical intervention in academics. With that being said, the meta-analysis showed that the effectiveness of these styles of incorporating music to enhance varies by study, and method used, but overall tended to produce positive results. After reading through these studies, I had a few concerns. The first study was NOT a randomized control trial. In fact, there were several factors which went into their placement, many of which could be confounding variables. With the second study, it seemed to be going in too many directions. There were thirty studies involved, not many of which were using the same methods in their experiments. If this were broken up into more specific categories the results might have been more clear. The only reason that I could come up with for why they would keep it so large and generalized, and that is there could be a file drawer problem with the various types of studies involved. Conclusion: Based on these cases, one could conclude that the alternative hypothesis is supported and music involvement does enhance one’s cognitive abilities. Whether or not this is what attributed to my siblings and I’s academic triumphs however, is still unclear. There are too many confounding variables to say that for sure. This entry was posted in Uncategorized on November 29, 2016 by Lucille Laubenstein. Can Exercise Get You More Than Just ”Runner’s High”? More than once I have had friends explain, even boast, to me that they get high after working out because they burned fat containing stored THC from previous cannabis exposure. They’ve said how great it is that they lose weight and get high from it and how cool it is that they “have pot just chillin in [their] body waiting to make [them] happy”. While I knew that THC could be stored in fatty tissue, I was skeptical as to weather it was really being released and giving the experience of being high. As we learned in class, while powerful anecdotes are not proof or cause for belief and so I decided to investigate. In 2009 The British Journal of Pharmacology published a Study where they observed the levels of THC in the blood stream of rats after fat burning. First they injected the rats with THC for ten days. Then after either a two or seven day waiting period they injected the rat with ACTH or subjected them to food deprivation, triggering rapid weight loss (fat burning). After this, when they tested the levels of THC in the blood of the rats it was once again elevated, even though the THC injections had been over with for multiple days. While this proved that fat burning could release stored THC into the bloodstream of rats, it did not answer the question of how and or if this process works in humans. This led to a second Study, this time using humans who used pot regularly. Fourteen participants made it into the study where they were asked not to use cannabis the night before they were brought in and given an exercise regimen. Half of the fourteen were told to fast, skipping breakfast, and the other were told to go ahead and eat. While fasting and not fasting varied some blood sugar related results, they did not significantly make a difference in how much more THC was seen in the blood after exercise. After exercising and blood tests, THC levels were shown to be raised in the participants, enough to make researcher think it may affect the effectiveness of some blood testing for legal reasons. The evidence also suggests that those with a higher BMI, therefore those with more stored fat, had somewhat more THC released in their systems and so may be subject more to “reintoxication”. While this evidence supports the idea that THC formerly stored in fat can be released into the bloodstream, it does not tell us whether or not this would give one the experience of being high that THC regularly produces. I think the next step is to use more subjects and longer, more intense workouts, to test the evidence, as it was a rather small and short experiment, and also test the brain to see if the same areas usually stimulated by cannabis are stimulated during the post workout THC release. This entry was posted in Uncategorized on November 29, 2016 by Lauren Elizabeth Jardine. After sleeping on the floor of my friends house for a few night over break and having some of the best nights go sleep of my life, I decided to look into wether a mattress is really necessary. Turns out, many chiropractors and sleep specialists agree that no mattress may very well be the best mattress for some people. Todays mattress tend to be soft and thick. This combination does not provide the proper support for a straight spine and good posture. They increase the chances of misalignments of the spine. 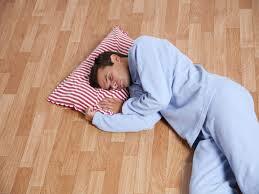 thenewhealthadvisor.com recommends sleeping on a thin mat on your back, this is contrary to popular belief. The misconception could very well come from advertising from mattress companies who would lose much of their business if word got out. The New Health Advisor claims that simply sleeping on the floor can help with back pain, and can lead a healthier, more productive lifestyle. On top of that, it’s cheaper, takes less effort, and takes up less space. In an online article, titled “The Ergonomics of Sleep”, Jeah Kessha states that mattresses create structural imbalances in the body. She too recommended sleeping on a hard surface. She also explains an issue I ran into. There is almost no research done in this field despite its importance. This could be because the data is so subjective. “Comfort” and “Best” are hard to judge. REM sleep, back problems, and hours slept, however, are measurable so studies could be done. My own experience leads me to believe these people, but it could be due to chance or a third variable. I think this is worth researching. If it’s true that sleeping on a mattress actually makes sleeping less effective then the experiment could change the way we spend about 1/3 of our lives. I have a hunch (no pun intended) that this would be hard to prove, especially when going against big bedding and furniture businesses, but it is worth a try. You can decide for yourself if you think it’s worth a try, but one night on the floor could change the way you sleep forever. I may be the exception not the norm, but my experience supports the conclusions of these writers. Have any of you had a similar experience or one that contradicts? Do you have any ideas on how to test this hypothesis? Let me know in the comments below. This entry was posted in Uncategorized on November 29, 2016 by lkv5058. I have a book sitting in my room that I’ve never read titled “Do Fish Drink Water,” and it made me curious…do they? I decided to look into this more and identify the fish as the x variable, water as the y variable and the fish’s size, type,etc. as the z/confounding variable. For this experiment, I also knew that this could be due to chance and that correlation does not equal causation in my results. I would take this as an observational experiment because you can watch the fish in their environment and how they interact with it. 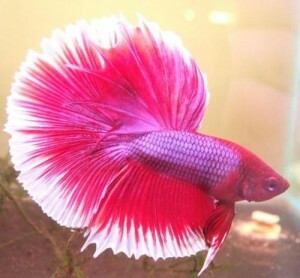 I have found that fish do not drink water, but they get water through osmosis. In this process the water is diffused from a higher to a lower concentration. Since fish do not technically drink water and the water diffuses through the body from surrounding water in osmosis, fish do not need to drink water like humans. Their body is entirely different than humans and they do not need to drink water like us (8 glasses a day) to stay alive. However, Aquaculture Specialist William Wurts, found fish need to drink salt water if they are in a salted body of water. Robert Kennedy of the University of Rhode Island also validates fish drinking salt water. This is because when drinking the salt water, the fish is replacing the lost fluids and getting rid of the excess salts. Interestingly in these findings, it was expressed that fish who live in fresh water, have a higher level of salt in their bodies than those in salt water- who knew? You would think that the salt water fish would have a higher level of salt since they swim in it constantly. Just like every living thing- it will need to properly function and in order to do that, fish must maintain a level of salt in their bodies. Additionally, there is always water being flown throughout the fish’s body correcting the level of salt making sure the level of salt is equal to that in the surrounding body of water. The fish needs to be balanced and not have too little salt because it could die. When salt gets low in a fish, their kidneys work excessively making sure that the excess water leaves the body in the form of urine. 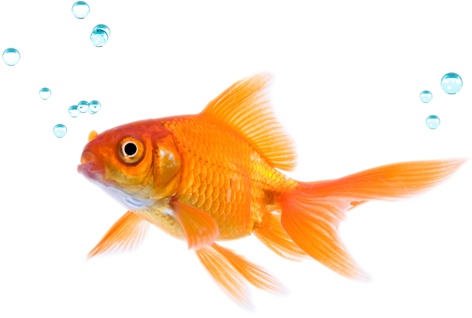 The fish’s body is put into override mode to make sure the fish can get back to normal and live a healthy life. Confounding Variables- types of fish, size of the fish, etc. We can take these and make an experiment and see how the fish live in his/her environment and conclude that not all fish need to drink water, but instead use osmosis to survive. As a college student I value any amount of sleep that I can sneak in to my productive schedule. Some nights I sleep for 14 hours and some nights I sleep for 2 hours and there are nights where I don’t sleep at all. Recently in my psychology course we learned about sleep and what I took away was that it is still not very well understood. People don’t really know why we sleep. The mechanism is unclear. There have been suggestions that REM sleep may be the most important because after not sleep for a long period of time you will immediately go into REM rebound where the intensity and length of REM sleep is increased. While the mechanism may not be clear, people still need to sleep and we spend a good portion of our lives doing so. If people need sleep, then how much sleep is optimal? Eight hours always seems to be the magic number. It has been circulating for years and this is what parents tell their children when they are tired. Is 8 hours really the optimal time for sleeping? Lunky enough, the National Sleep Foundation put together a study which ended up being a meta-analysis of roughly 300 publications on sleep. They said that they cannot give an exact number for recommend sleep because everyone is unique but a sleep recommendation chart was crafted HERE. Our age group or “young adults (18-25)” is recommended to get about 7 to 9 hours of sleep per night. Being that this study is a meta-analysis, this information is most likely truthful, especially with a number like 300 studies. Students who are looking for the optimal amount of sleep should stick to around 7-9 hours. “* The Biphasic Schedule: Two three-to-four-hour sleeps with an hour of awake time in the middle. * The Dymaxion Sleep Schedule: 30-minute “naps” every 6 hours. * The Uberman Schedule: Six 30-minute naps per day. However, most of these methods lack concrete evidence that they are better, a study reported that most animals on earth are polyphasic sleepers. I believe that more work needs to be done on this subject and a structured experiment may help. If I had the resources, I would put together an experiment that was a randomized controlled trial where the control group would sleep 8 hours and the “treatment group” would test out one of the polyphasic sleep schedules and see the difference if there is any. The take away message is that yes, you should listen to that old wives tale that you need 8 hours of sleep. With a meta-analysis as evidence any one can be almost certain that this is the correct number of hours to sleep. Although it may not be the amount of time that you sleep that makes you feel the most rested but rather the schedule of your sleep. So if you’re feeling adventurous, give one of these methods a try and let us know how it works out. This entry was posted in Uncategorized on November 29, 2016 by Matthew Porr. Are you guilty of the bystander effect? Have you ever read something in a group message like “Hey, can someone come get me from the airport?” and think “Eh, someone else will do it, I just won’t respond.” ? Then you may be guilty of the bystander effect. 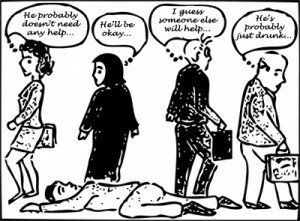 The bystander effect, otherwise known as “bystander apathy” happens when people believe there is no tendency for them to get involved in a social or emergency situation because they believe someone else will help (mostly in a crowd). Therefore, when there is more people, less people are likely to help out the victim. Going back to my example above, the person believes that since they are in a group message with other individuals, that someone else will pick up the duty to go pick up the friend. If all of the individuals have the same thought, the person at the airport will be sitting there stranded for a little. As surprising as it is, this happens a lot in emergency situations such as car accidents or lost children on the street. So, what exactly are some examples of the psychological phenomenon the bystander effect? I found a video of an experiment where an actor pretended to be sick, grasping his stomach on the ground. He is groaning and wincing but people simply look down at him and walk along. He even blatantly calls for help, “help me, please help me sir” and the man just looks at him, and walks away. This went on for a good 20 minutes and no one even hesitated to speak or help him. He was then replaced with a women of the same age. 4 minutes passed and still none of the 34 people who had passed her even thought to ask what is wrong. A man finally walks up to her and asks if she is okay, along with another woman who comes to check on her simply because the man is there as well. I thought this was very interesting because the woman who finally helped the “sick” woman out only did so once the man came to check on her. Otherwise, she would have obviously went on with her day with no responsibility in mind. Also, I was wondering if she got helped sooner, -around 5 minutes rather than the man’s 20+ minutes- simply because she was a woman. The video did not mention this, but I am sure that can be something to look into. The experiment went on to have the same man in the beginning but this time, in business apparel. Shockingly, only 6 seconds had passed and someone asked if he was okay, and suddenly a swarm of people surrounded him. I was extremely curious why our brains work the way they do and want to search for an explanation of this phenomenon. One of the more common thoughts on why we as humans fail to help during certain situations is pluralistic ignorance. This occurs when the individual walking or driving by does not even realize that someone is in need of help. Therefore, if we see something and are not positive of what is happening, we look at other people’s reactions and body language to determine if we should intervene or not. The problem with this is, if no one else is getting involved we assume everything is okay, despite the fact that there may be a really bad emergency happening. Basically the thought behind this is that we think everyone else is interpreting the situation in some way but they actually aren’t as explained beautifully by psychrod. The other possible explanation for the bystander effect is the diffusion of responsibility. This goes perfectly with the social experiment I mentioned above. People do not feel responsible for the situation because they feel as though someone else may do it, resulting in that person not being helped at all. The more people around, the less likely it is for that person to be saved. As strange as it is, the bystander effect is an interesting phenomenon. Whether it be unintentional or not, (Pluralistic Ignorance versus Diffusion of Responsibility) keep in mind, whenever you have that gut feeling that something is wrong, please go out there and try to help because it may save a life. Just because everyone else is ignoring it does not mean that person is okay. “The Bystander Effect: Reactions and Causes – PSYCHROD.” PSYCHROD. N.p., 30 Jan. 2015. Web. 29 Nov. 2016. <http://psychrod.com/the-bystander-effect/>. Coolpsychologist. “THE BYSTANDER EFFECT.” YouTube. YouTube, 09 June 2009. Web. 29 Nov. 2016. <https://www.youtube.com/watch?v=OSsPfbup0ac>. Https://www.facebook.com/verywell. “What Is the Bystander Effect?” Verywell. N.p., n.d. Web. 29 Nov. 2016. <https://www.verywell.com/the-bystander-effect-2795899>. @PsychToday. “Why Don’t We Help? Less Is More, at Least When It Comes to Bystanders.” Psychology Today. N.p., n.d. Web. 29 Nov. 2016. <https://www.psychologytoday.com/blog/the-social-thinker/200911/why-don-t-we-help-less-is-more-least-when-it-comes-bystanders>. This entry was posted in Uncategorized on November 29, 2016 by Rebecca Jordan Polaha. Ever wonder why your feet sweat? You could have a disorder called hyperhidrosis. Hyperhidrosis– occurs when someone’s foot sweats out of nowhere and excessively; there are no triggers and the sweat glands become overly produced. This can also be genetic. 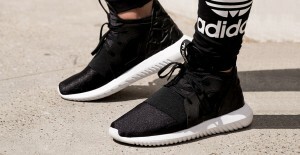 -Sweating excessively in the feet looks to be an inherited problem. Scientists are unsure of why this occurs, but people who sweat excessively have a different set point than other people. This is because everyone is different and people cannot be compared (i.e. people have different heights, weights, etc.– these can be considered other confounding variables when testing to see how people sweat). Instead of just sweating when it is hot out, people with Hyperhidrosis sweat excessively almost all the time. Sweating in the feet. (People may have their feet slip in their shoes). When there is a constant wetness in the foot, the skin can be broken down and an infection can occur. The feet can release an odor as they typically do when they sweat. People can have emotional stress due to worrying about their foot odor. This becomes a problem for teens with hyperhidrosis because of sweat-related anxiety and isolation. In order to prevent your foot from smelling– good hygiene is essential. One should wash their feet in order to prevent an odor. One can also use corn starch to prevent feet from smelling. Change socks during the day. Stash an extra pair of socks at school or at work, and change socks mid-way through the day. Wear shoes that are made of breathable materials… the same goes for socks.When all home remedies fail, that’s when it is time to visit a podiatrist. They can do a starch-iodine test to confirm the diagnosis. The test is completed as such- first, an iodine solution is applied to the bottom of the feet. After the solution has dried, cornstarch is sprinkled over the area. The treated area turns dark blue if excessive sweat is present.According to the US National Library of Medicine, they express how less than 40 percent of people with this condition seek expert help. If we wanted to conduct an experiment of feet sweating, we would have to take the feet and use them as a variable then test them through out the day. I would take two different subjects with the same characteristics (height, weight, gender, etc.) I do not think this would work with opposite gender nor people with different weights/shoes sizes because of them being confounding variables (z variable). As learned in this course, I know that correlation does not equal causation and the result can be due to chance. I would test my subjects with the iodine test as mentioned above to see if my subjects had the condition and I would see if the corn starch would prevent odor along with changing socks. I’d have these people controlled and monitor their sweat. I always thought that feet sweat just because they are hot, who knew there was actually a disorder that could contribute to this? The next time your feet sweat take caution-you could have Hyperhidrosis because according to this study- 2.8% of the population surveyed has Hyperhidrosis and it effects more people than we think. With this study being entirely experimental sending out random samples to selected people, we learn just how Hyperhidrosis effects people and the population. (Photo by Adelaide Hebert MD University of Texas c/o International Hyperhidrosis Society). The other day I was ignoring all of my scholastic responsibilities and watching one of my all-time favorite series, Planet Earth. I have to say, when I found out they were making a sequel to the original series, I was as happy as a schoolgirl in a candy store. As I have mentioned in my original post, I was always obsessed with the world around me and Planet Earth gave me the satisfaction in knowing there was some adventure left in this world- even when life might seem gray and boring. 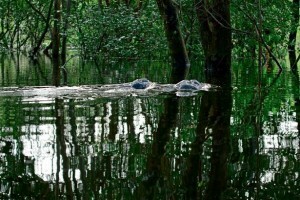 In the current season’s jungles episode talked about here a truly amazing thing was captured, dolphins in the jungle. No, I’m not drunk- there are dolphins that live among the flooded tree tops after the wet season. Seen in the BBC picture below are the newly discovered dolphins. This led me to think that we have been to almost every corner of the earth is there species out there that we have not encountered yet, and what can those species mean to science? The hypothesis that I would come up would be that there are some species that we have not came across but although not that many. Boy, did the information that I researched about the subject blow me away. I came across this National Geographic article with unbelievable results. Over the years we have identified and classified 1.2 million species but there is to be estimated a total of 8.7 billion species on earth. This leaves around 86% on the earth to be discovered. We need to start looking into discovering these species and the possible scientific secrets that they hide. Unfortunately we may not get the chance. A lot of these undiscovered species live in the jungles and rain forests. More than an acre of this land is lost every second according to This fact sheet. We need to stop destroying this planet one acre at a time for our own benefit. Maybe there is an outside chance that shows with incredible camera work and determination like that shown from the Planet Earth crew more attention can be drawn and we can save the lands and discover all of the organisms that live in these mysterious worlds. This entry was posted in Uncategorized on November 29, 2016 by Michael David Harding. Battle of the Sexes: Video Games. Whose Better? I ask this question based on my experiences as a gamer. In my experience growing up playing video games, males played more video games than women and were often better at them. I had both male and female friends growing up who played video games and my observation has always been true, that males were better at it and played more often. I decided to do some research on the matter and the results were interesting. While researching I found an association online called the “Entertainment Software Association”. The ESA conducts consumer and business research regarding video games and gaming as well as representing the video game industry as a whole on state and federal levels. Notable members of the ESA are Disney Interactive Studios, Bethesda Softworks, Microsoft, and Sony, each of which make and release video games yearly. Each year the ESA releases an annual report that shows highlights, surveys, and accomplishments of the past year as well as general information and statistics revolving around video games and the industry. The 2016 essential facts report shows many statistics relating to my question. I don’t know who personally conducted and collected the information about to be revealed however the resources the ESA uses are most credible as seen of its notable members above. Now as of 2016 the demographic studies show that of men and women, men make up 59% of video game players while women make up 41% in America. Although more men play, the previous years show an uphill trend of the number of women playing. This may suggest that soon the number of men and women playing video games may balance or swing in favor of women. The reason for the bump of women players over the years may be the advancements of the gaming industry as a whole with the release of new games, consoles, and virtual reality. There is very little to no research regarding which gender holds the champion belt in gaming because of how many different types games there are and what types of platforms to play on. Platform meaning Xbox, PC, Playstation, mobile phones and other devices make it difficult to perform such experiments as well as the types of games. The types of games being first person shooter, strategy, puzzles, exploration, educational, simulation, and many other genres make up the industry. A study done by M. H. Phan, J. R. Jardina, and W. S. Hoyle of the Software Research Laboratory of Wichita State University in 2012 showed a gap in what types of games each gender favors. The study included 341, 252 were male and 89 were female. Roughly 80 % of males played violent video games while 20% of males did not. 46 percent of females played violent games while 54% did not. It is hard to gauge who is better with gaps like this occurring for most genres and platforms. However I did learn that men spend more time playing video games than women on average. A study that was published as an online article by Springer Science and Business Media revealed that men spend more hours gaming than women. The study is called “Gaming, Gender, and Time: Who Makes Time to Play” by Jillian Winn and Carrie Heeter. They studied 276 undergraduate students composed of 88 males and 188 female. The study showed males played more games because they had more free time than the female. In a single sitting the amount of males who played for less than 1 hour was 23.6% while the amount of men who played for more than an hour was 76.4%. In a single sitting for females revealed that 78.2% played for less than an hour while 21.9% played for more than an hour. The result shows that males player for longer periods of time than females. From all of the research I found and read through my question was not answered but new information was revealed to me. More men than women play video games on average and men play for longer periods of time. The types of games men and women play ultimately differ coming down to violent and non violent video games. Men favored them more than the women while women favored nonviolent/ social games. This entry was posted in Uncategorized on November 29, 2016 by Francis John Bassani. Something that I’ve always found interesting is the different levels of pain people are able to endure. Most of the people in my family are extremely good about tolerating pain, in fact my dad broke 4 ribs and didn’t want to go to the doctor because he felt that it would just be a nuisance. (Don’t ever do this) So I wanted to know why is everyone able to withstand different amounts of pain, and what are the causes behind it. I focused my research mainly on genetics, because there is an already documented difference between genders. The null hypotheses here would be that genetics don’t play a role in pain tolerance, and the alternative would be that they indeed do. The first study that I chose to look at was one about different ethnicities having differing levels of pain tolerance. The study I am using for this was conducted by Robert Edwards in which he analyzed the levels of pain reported by peoples of different ethnicities. The findings of his study were that African American patients reported higher levels of debilitating pain. They also did a test to see how long patients could withstand restricted bloodflow to their arms, and on average White patients were able to withstand the pain for 9 minutes while African American patients were only able to cope for 5 minutes. This is a pretty significant gap and shows a large potential area for differences between ethnic groups. In a study by Christopher Nielsen that dives more into how genetics affect our pain tolerances, he concludes that 60% of the difference in pain felt from extreme cold is genetic and 28% of the difference when its extreme heat is genetic. This study concluded that a large part of pain tolerance is inherited as offspring, and that it plays a slightly larger part in pain tolerance then your environment does. This study showed that there was more of a link between genetics and pain tolerance then was previously believed. However, this study by Mark Litt asserts that one of, if not the largest, indicators of pain levels is a persons mental state. If the subject expected there to be extreme pain, they were more likely to feel it then someone who didn’t expect major discomfort. From reading these studies, I’ve come to the understanding that you can’t really pin pain tolerance on just one or two different things. The evidence shows that the alternative hypothesis was correct, and that genetics do play a role in it. But there’s more to it then that, things like gender, ethnicity, and psychology also play a major role. I would say this is about what I expected to find from this research aside from the fact that I never really took the mental aspect into account. Since there’s no way to pin our tolerance on one specific thing, it’s fair to say that people who can withstand large amounts of pain have a lot of different things going for them. This entry was posted in Uncategorized on November 29, 2016 by Daniel J Lehecka. After a long and exhausting day, sometimes all I want is to consume a cheat meal. Most of the time I crave a burger and head to the McDonald’s downtown. As I read my options and finally pick which burger I want, I slowly move my gaze to locate the price. As I do this, I see a different, larger number that I was not looking for. . . the calories. Most of the time when I see the calories, I ignore them and still place my order. My action to continue ordering my unhealthy meal is consistent with the result of a recent survey. 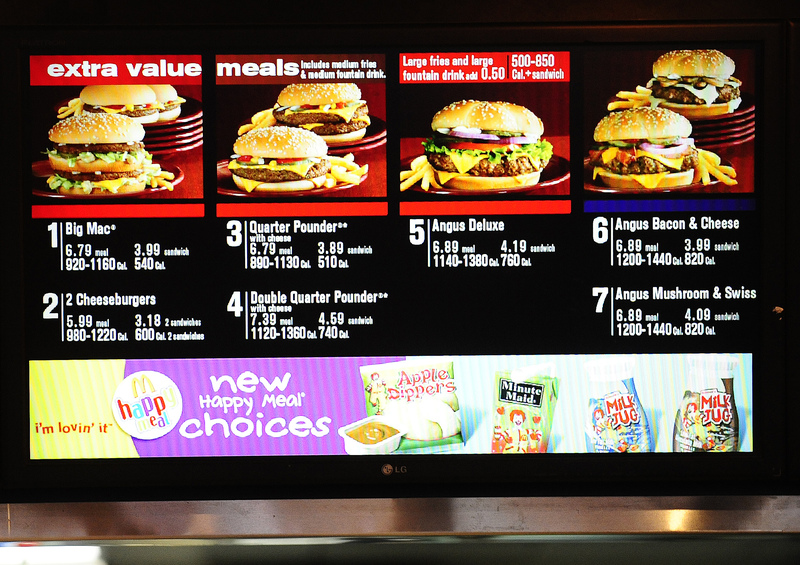 According to HealthDay News, beginning next May fast food restaurants that have over 20 locations will have to list the calories next to each of their menu items nationwide. This is not the first time that restaurants have had to do this. In fact, since 2010 Philadelphia restaurants have already been forced to list this information next to their menu items. The point of listing the calories next to the food is to encourage individuals to make healthier options given that the United States is infamously known as being one of the most obese nations in the world. The U.S. Centers for Disease Control and Prevention reports that 37 percent of U.S. adults are obese. Even more concerning is that 17 percent of U.S. teenagers are obese as well. It is likely that when teenagers are obese they will continue to live their unhealthy lifestyles as adults. 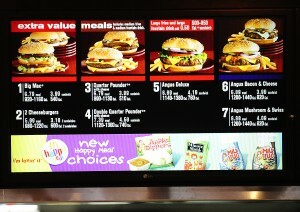 Being Philadelphia is not the only major U.S. city to impose this law and the obesity rates still remain so large, Andrew Breck of NYU, along with his associates, interviewed a 1,400 consumers of fast food in Philadelphia and asked them if they noticed the calories next to menu items. The consensus of these consumers was that they did not notice it. This is concerning and in the best interest of the nation to employ different methods to hopefully empty other methods so that citizens are aware of the nutritional value of the food that they eat, but how can this be done? I think that it would be best to perform a study and test different methods to make the nutritional information more noticeable to consumers by picking the best method. It would be best to perform a longitudinal experiment in order to track the individuals to identify if there is an improvement or decline in their health. Furthermore, a random sampling would be beneficial to this study in order to represent the population most accurately. The researchers of the study could employ different advertising techniques to see which one the participants of the study take more notice of. At the conclusion of the study, the advertising techniques utilized by the group that improves the most in health could then be taken to a larger scale. The alternative hypothesis of this study is that one of the advertising techniques will make the participants more aware of the food that they consume. On the contrary, the null hypothesis is that there will be no difference in both groups. I suspect that if this study were to occur, the alternative hypothesis would prove to be correct. I think that it would be beneficial to the health of the nation to use better advertising techniques to assist in making the population more healthy. With this being said, it is likely that people will still continue to live their unhealthy lifestyles even if different techniques were utilized. To changes one’s lifestyle, that person must want it, it cannot be forced. This entry was posted in Uncategorized on November 29, 2016 by Mairead Donnard. The holidays are the time to get together with friends and family to celebrate old and new traditions. Most families have a ritual cookie bake or secret Santa or a favorite movie that brings everyone together. The past few holidays my cousins and I have developed quite the strange tradition. Rather than watch an uplifting holiday film or a family flick we all huddle in the basement and watch a horror movie. Yes, you heard me right a horror film. So what makes us on one of the best days of the year want to sit down for 2 hours and torture ourselves? Why does the idea of being scared and ready to jump at any moment sound appealing? Well I may have the answer. Scary movies have been around since the beginning of time. Slasher films have been breaking boundaries and revolutionizing the movie world for years. However horror films do a little more than entertain you, they have the power to affect you psychologically. When watching a scary movie you know what you are getting yourself into, you want to be frightened. Your palms being to sweat, heart rate rises, blood pressure drops and muscles tense. 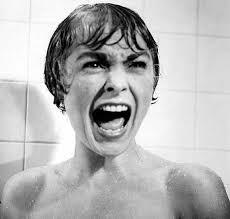 Horror movies keep your attention and elicit various emotions. Psychology Today explains that we enjoy the tension horror movies bring such as suspense, terror, gore, sadness and shock. Like most movies we enjoy the unrealism and the ability to enter another world for the two hours of the film. There are four reasons for watching horror movies: gore watching, thrill watching, independent watching and problem watching according to Dr. Deirdre Johnston. The four viewing motivations are found to be related to viewers’ cognitive and affective responses to horror films, as well as viewers’ tendency to identify with the characters in the film. Lastly just the simple adrenaline rush. When we watch scary movies we are able to face our fears without doing it in reality. Scary movies put us in a different world and make us feel a multitude of emotions. Whether it be with your cousins on a holiday or by yourself we all watch horror movies for different reasons. This entry was posted in Uncategorized on November 29, 2016 by Maura Katherine Maguire. 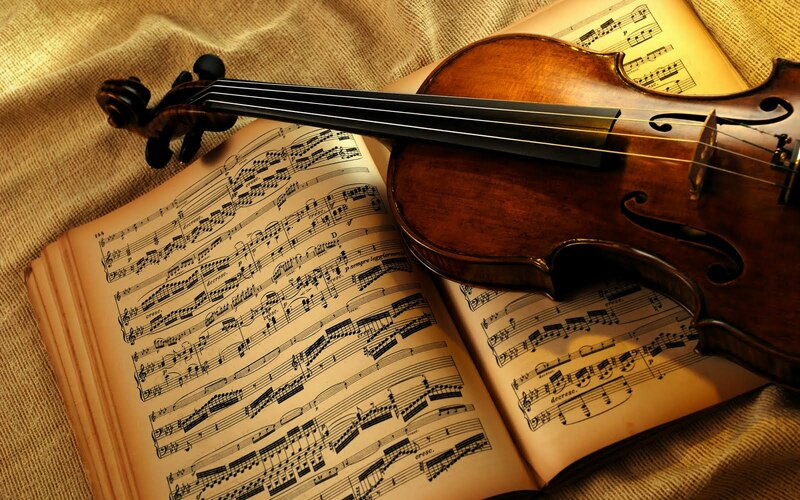 Does Classical Music Make You Smarter? I was once told that listening to classical music makes you smarter. Naturally, I took this into consideration and listened to classical music before I took the SAT’s for the second time, even though I was unaware if this was actually true or not. Notably, I did in fact improve my score by 100 points, but this could have been from various other factors such as I already took the test before, so I had experience, I studied more, etc. Since I have been unsure of whether it was the classical music that helped me improve my score or not since I took the test two years ago, I decided to research more about the effects of listening to classical music, and if it does in fact make you smarter. According to a research study in France, classical music does indeed make you smarter. In the study, 249 students were split into two groups. One group being a control group who listened to a lecture with no music playing, one group being the experimental group who listened to the same lecture, but with classical music playing in the background. After the lecture, the students from each group took a multiple choice test based on what they learned in the lecture. Notably, the students in the experimental group scored remarkably higher compared to the students in the control group. Naturally, the French researchers wondered why listening to this music had such an effect on the student’s test performances. Together, they hypothesized that the music put the students into an emotional state so intense that they were more responsive to the new things they were learning (Crotty 2014). Another possible reasoning for the higher test scores in the experimental group could be due to a reduction in anxiety from listening to the music, and according to a study from the Duke Cancer Institute, classical music does in fact lessen anxiety. In this study, men undergoing stressful biopsies were played Bach during their procedures, and reportedly had no spike in diastolic blood pressure, plus reported less pain than men who were not played Bach during their procedures. Although this study didn’t determine if the lessened anxiety was due to the fact the subjects were listening to music in general, or specifically classical music, a study conducted by scientists at the University of San Diego determined this answer. In this study, 75 participants had to execute a hard three-minute mental task. After the three minutes, participants were randomly chosen to either listen to classical music, jazz, pop, or no music at all. It was found that the participants who listened to classical music had a much lower systolic blood pressure than the other participants who listened to the other styles of music or who listened to no music at all. In conclusion, it is clear that classical music does in fact you smarter. Whether it is due to the fact that it helps you be in an intense emotional state and thus make you focus better, or that it lessens anxiety, or a mixture of the two, I highly suggest the next time you have a test, you listen to classical music beforehand. This entry was posted in Uncategorized on November 29, 2016 by M.
Does Hot Water Make A Difference? Washing your hands is something that everybody does. Whether it is before eating or after going the bathroom – we all wash our hands sometime in the day. When its cold out we tend to wash our hands in the warm water, but when its a warm day, we tend to refresh ourselves by washing our hands in cold water. However, should we be washing in just one temperature. Is it possible that one temperature is more beneficial than another temperature for eliminating all bacteria on ones hand? According to DebGroup, a study was conducted in order to determine if the temperature, being hot water, had any effect on ridding pathogens on one’s hand. In this study, the Null Hypothesis would be that hot water as effective as cold water when washing hands, while the Alternative Hypothesis would be hot water is more effective than cold water when washing. The study surveyed a total of 510 adults and were asked a series of questions regarding how they wash their hands; for example, how often they wash, how they wash, how long they wash for etc. According to National Geographic, 70% of the people surveyed believed that washing their hands in warmer water was more beneficial. By the end of the study it was determined that the hot water had no effect on the amount of pathogens left on the skin compared to cold water. Another study, according to the New York Times, conveyed by scientists from the Joint Bank Group/ Fund Health Services had participants contaminate their hands. The participants washed their hands for 25 seconds in soap and water ranging from 40 degrees Fahrenheit to 120 degrees Fahrenheit. It was then observed to see if the hands washed in the hotter water had less bacteria than the hands washed in cooler water. The study determined that the temperature had no effect on the outcome of the bacteria on the hands. Hot water is as effective as cold water when washing hands. This would mean that the Null Hypothesis is true. It is true that heat does indeed kill off bacteria, so why would it not be the same for hot water? According to Amanda R. Carrico from Vanderbilt University, she confirms that heat does kill off bacteria. However, she explains that in order to acquire that amount of heat in your water, it would be very unsafe for humans to wash with. That amount of heat would burn and cause great discomfort which all in all, is unnecessary in order to wash your hands. So, as long as you wash your hands with soap and water for the normal amount of 25 seconds, you’ll have clean hands despite the temperature of the water. Altogether, it does not matter what temperature water you use to wash your hands. Washing your hands is definitely a vital part of everyday living, so as long as you use soap and water, you’ll definitely be clear of any possible bacteria and pathogens lying on your hands. So, make sure you wash your hands, but it won’t matter what water temperature you use! This entry was posted in Uncategorized on November 29, 2016 by Gulianna E Garry. Annual physical exams…are they really necessary? I hate going to the doctor’s office. The truth is that I just don’t like getting shots (odd, because I don’t mind giving blood) and almost every year through grammar school and high school the annual visit included a shot for a vaccine or the flu shot. Before coming to Happy Valley, I had to go to the office so I could receive the Meningococcal vaccine, the one required if you live on campus. Just the name of that vaccine makes me shiver. Needless to say, I wasn’t thrilled when I had to go back for a flu shot, during the Thanksgiving break. When we were leaving the nurse at the counter asked about making an annual checkup appointment. Really, still? I started thinking about why we get an annual physical. Sure, if you are a child who needs vaccines or play on an organized sports team and need clearance to play, you should go to the doctor annually. Annual visits to the doctor may be warranted for people over fifty as well. But if you are a heathy adult, it seems unnecessary. Null Hypothesis: Annual physicals are a necessary preventative measure for healthy adults. Alternative Hypothesis: There is no need for an annual physical if you are a healthy adult. Annual physical exams were endorsed by the American Medical Association in 1922 and have become part of a routine, for many, as a preventative measure and, for some, a reassurance that they are healthy. Routine physical exams normally include; a Q&A about general health, allergies, surgery and habits such as alcohol intake, tobacco use and frequency of exercise. They may also include urine tests and blood work and usually provide for temperature, blood pressure, pulse and examinations of your throat and ears. In an article by U.S. News Health Care, the question of the need for a yearly exam is examined and concludes that annual visits to the doctor are not necessary. It suggests that if you are a healthy adult, visiting a doctor every 5 years would be reasonable. To support this conclusion, a study, by the Cochrane Collaboration, was referenced. This study analyzed results from 14 trials which included approximately 183,000 participants. The analysis showed that there was no effect on risk of death associated with cancer, cardiovascular disease or illness. One trial did detect an increase in cholesterol and high blood pressure, however, the analysis concluded that these patients may have already been suspected of high risk in these areas. Lastly, the trials were determined to have not influenced increased visits to doctors, work absences, disability claims or hospital admissions although, the data was vague and could be subject to the File Drawer Problem, Andrew discussed in class. This Harvard Health Publication blog supports the elimination of routine annual visits stating that the visits do not stop you from getting sick nor prevent death. It states that, statistically speaking, tests ordered on healthy people produce false positive results identifying problems that don’t exist. It concludes that the emotional, financial and resource costs to conduct these tests are enormous and should be redirected to those truly in need. It suggests that online surveys and rigorous preventative steps by individuals can replace annual visits. This report references an article posted in the The New England Journal of Medicine which also provides convincing arguments to change the annual routine and consider visits based on evidence rather than the calendar. It agrees that false positive testing can do more harm than good and wastes a lot of everybody’s time. 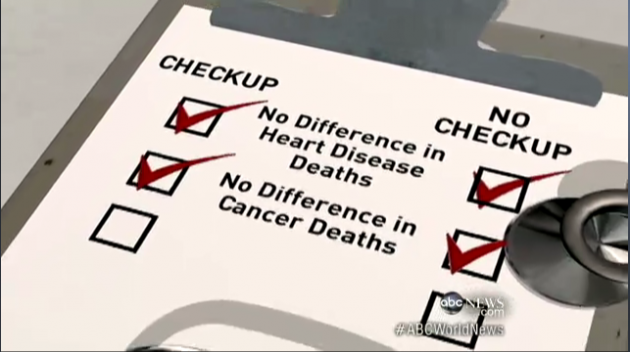 WebMD documents when to get screened for the detection of particular ailments. It suggests, for instance, a cholesterol test every 4-6 years and a colonoscopy starting at 50 years old. Mammograms for women at 40 years old are recommended and blood sugar tests for those overweight should be considered. Of course, if you are predisposed to certain ailments or have a family history of disease, screening is warranted. The research presented disproves the null hypothesis and accepts the alternate hypothesis that annual physicals are not necessary for healthy adults. During high school, I sponsored several blood drives. Since arriving at college, I have donated blood. When you donate blood, you are screened for a variety of things such as; weight, iron level, blood pressure, temperature, and pulse and you are asked to complete a lengthy questionnaire about your current health, travel, surgeries and habits. Sounds a lot like a routine physical to me and it is free! So, if you don’t have time to get to the doctor’s office, you can’t afford it or you just want to be a good person, donate blood and get a mini check-up for free! This entry was posted in Uncategorized on November 29, 2016 by Michael Robert Szawaluk. Almost everyone has been told as a kid that “breakfast is the most important meal of the day”. Breakfast gives us the energy to start our day and maintain that energy throughout the day as well. More about the health benefits of breakfast can be seen in this study. While these are very good reasons to eat breakfast, I started to wonder about those people who don’t eat breakfast. Personally, I have a cup of coffee on my way to class and call that breakfast. I do not wake up early enough to either make myself breakfast or go buy breakfast, but I still am awake and alert all day as if I were to eat breakfast. Many studies have been done on the effect that eating breakfast has on people, specifically obese people trying to lose weight. In order for a person to lose weight, they must burn more calories than they ingest. An easy solution to do this is to skip a meal or eat less during each meal. David G Schlundt, James 0 Hill, Tracy Sbrocco, Jamie Pope-Cordle, and Teresa Sharp did a randomized clinical trial in order to see the role of breakfast in obesity treatment. The study consisted of 52 obese women between the ages of 18-55. Depending on their baseline-eating habits, the women were randomly assigned to two weight loss programs. One program had the women eating breakfast and the other program did not. All other aspects of the programs were identical. The results of this 12 week study showed that the women who did eat breakfast lost more weight than the women who did not. This study may have been done properly, however, in my opinion in order to get a better result in order to make a more confident conclusion, the scientists should have used more women, included men, had a smaller age group, or did the study for a longer period of time. The more data they could have obtained the more confident they could have been in their result. Additionally, it is unknown if some of these women were working out more than others. The burning of more calories could have impacted the results of this study. Even with the many factors these scientists did not control for, or the great deal of chance as a result of the sample size, it can still be concluded that breakfast is the most important meal of the day. 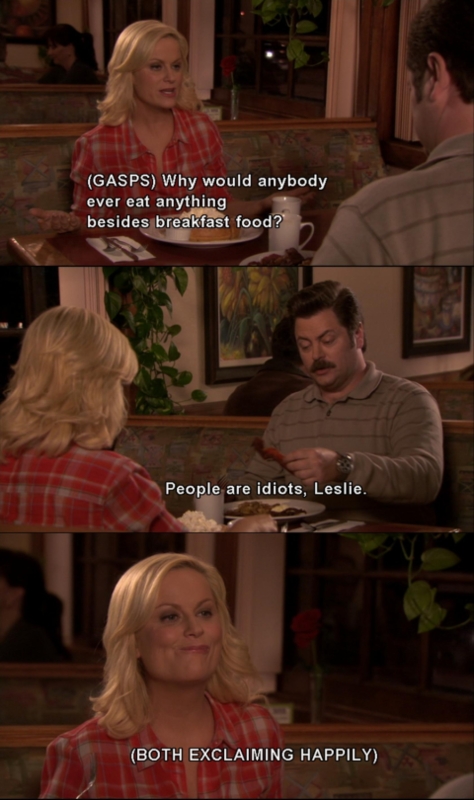 The breakfast eaters were seen ingesting less food and calories than non-breakfast eaters, because they were more aware that they had already eaten more calories. 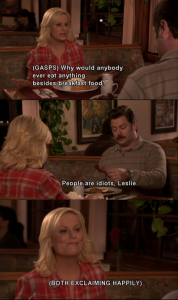 In addition, less snacking took place in the breakfast eaters because they did not get as hungry as fast. This entry was posted in Uncategorized on November 29, 2016 by Candace Burke. As an international student, coming to the United States was a huge culture shock in many aspects of life, but the biggest difference I noticed was the negative stigma of obesity and physical exercise in the United States. The adult population of the United States has an inactive rate of about 41% while Bangladesh has an inactive rate of about 4.7%, so what’s the big deal? Why won’t people take thirty minutes of their day to get out and move their legs? According to Sherry Pagoto from psychology.com, people do not exercise because of their initial instinct to avoid discomfort. She also states that the people who choose to exercise know that the results of daily physical activity most definitely outweigh the costs; so lets talk about these benefits. I’m probably not the only one in SC200 who wrote a blog post about the benefits of physical exercise. In fact, I am most certain that I am not the only one who wrote about this topic because many college and high school students face the dilemma of whether they should spend their extra time to exercise or to spend it on more studying. Exercise has numerous physical benefits such as controlling weight, reducing risk of cardiovascular, greatly reducing the risk of diabetes, strengthening bones and muscles, and much more. Even with all of these possible benefits, not enough high school students engage in physical activity; according to Amy Norton from CBS, a recent study shows that nine out of ten teenagers do not get enough exercise. THAT IS INSANE! The young people of this generation are spending their extra time to expand their brain to accommodate for the never-ending hallway of knowledge, meanwhile, their lack of exercise risks their body for contracting chronic diseases, and many more health problems. In this blog, I hope to persuade readers that exercise is essential because it not only positively impacts physical prowess, but it can also improve mental health and improve upon learning because scientists have recently found that physical exercise can greatly improve long-term memory. Now i know that when a bunch of nerdy looking people with white lab coats say something scientific, we tend to believe it! Let’s slow down a little bit and not fall into the logical fallacy of appealing to authority. During Justin Wright’s presentation in class, he told us to be skeptical of what scientists are telling us because they want to be credited with a grand discovery that might not be true, so lets look at the scientific process of this statement! The null hypothesis of the statement is that physical exercise does not have any real effect on long term memory. On the other side, the alternative hypothesis states that people who exercise regularly have improved long-term memory. Naturally, the topic of the study begs to present the question of whether or not there is a correlation between the two variables, and if so, is it a direct causation? To fully examine whether these nerdy scientists are telling the truth, let’s look at two experiments that dive right into this topic. The first study focuses on experiments done to mice while the second study focuses on experiments done with people. Through a single blind experimental study, Professor Bischofberger and her team randomly assigned two group of mice to either the control group that had a running wheel in the cage, and the control group that did not have a running wheel. For the first hour and a half, the mice in both groups were given two similar objects, but after, the researchers switched one of the objects with a new, different object. After 24 hours, the new object was switched again with a similar or different looking object to the one that was switched. According to the researchers, mice are naturally attracted to new and different objects rather than familiar ones, so the researchers used this as a measure for the study. The data of the study yielded results that denied the null hypothesis. After 1.5 hours, mice from both the control and experimental groups could distinguish differences from both objects, however, after 24 hours only the mice from the experimental group could distinguish differences between the two objects. Ok wow! 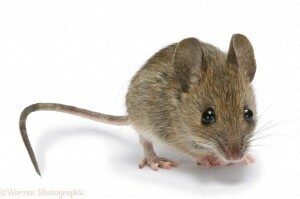 The experiment showed us that there was a clear correlation between exercise of the mice and long term memory of the mice. Because the study was experimental and not observational, there is no way that confounding variables and reverse causation could be a possible explanation towards the results of the experiment. To further validate the results, the researchers of the experiment explained their findings through a mechanism: the exercise from the mice generated new brain cells in the adult brain, which is called neurogenesis. The new cells created played a pivotal role in learning and memory for the mice. Even though correlation does not always equal causation, we can infer that exercise caused improved long-term memory with the mice in the experiment. So what!? Just because it worked on mice, doesn’t mean it will work on humans! Well that’s not completely true because mice share 90% of the same genes as humans. If you still don’t believe that, the second study may convince you since it was done on humans. One year after the experiment on mice, A study in the Journal Current Biology shows that exercise after learning improves memory, only if the exercise is done four hours after learning. This was another single blind experiment where the researchers randomly assigned 72 participants to either a control group or the experimental group. The results stated that those who exercised four hours after initial learning retained information than people who did not exercise. The study also shows that the magnetic resonance imaging from exercising showed more representation in the hippocampus, which is important for learning; this was a mechanism the researchers used to validate their results showing the correlation between exercise and long-term memory loss. Ok so wow! There was a lot of information in there about the correlation between increased physical exercise and long-term memory, so let’s summarize it! 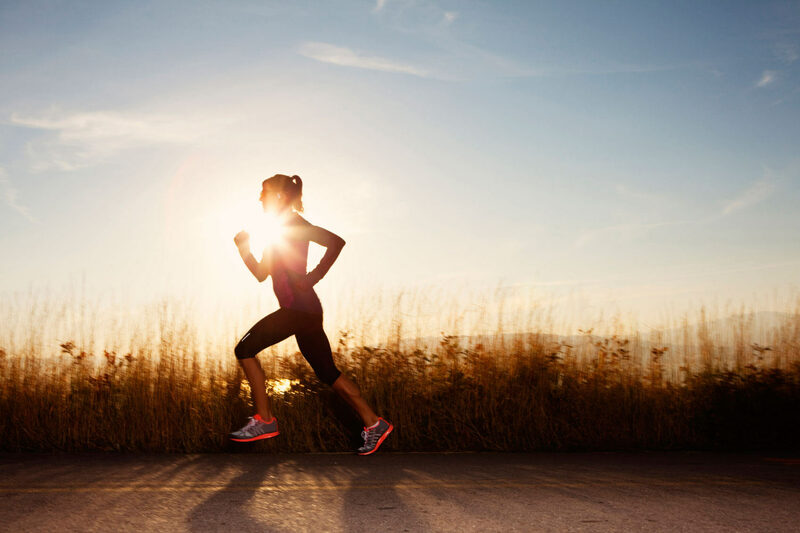 There are numerous health benefits to physical activity, yet a large percentage of the population will not engage in physical exercise because they believe that the time spent on exercise can be utilized more efficiently. High school and college students in particular spend extra time to study more in hopes of achieving and retaining more information. New studies have shown that spending time on exercise can do more than improve your physical quality because physical activities can also strengthen the mind by improving long term memory. Baffled by the inactivity rate of high school students and the population of the United States, I want to persuade you people that this is true from the research I have gathered through numerous studies! with concluding remarks, I would like to say that there will be numerous claims from scientists that may or may not be true. Do not fall into the hands of the highly credited scientists, just because they say something; follow up on their results: see if their data faces any inconsistencies, or if other scientists refute the findings. In this particular case, we heard that physical activity improves long term memory, so we expanded upon this statement and found consistent data that supported this claim. So yes, you should definitely spend extra free time to exercise because there are numerous direct and unknown benefits that come with physical exercise! This entry was posted in Uncategorized on November 29, 2016 by mzm6020. A food coma is a very common feeling after stuffing your face with too much food, but why? Why do we feel so tired after eating immense amounts of food? It may be due to the types of food we eat, or just the feeling of tiredness after eating could be a result of our brains telling us that we should be tired. Since we are aware of what a food coma is, our brains could be tricking us into thinking we are tired. This phenomenon was seen most recently in most Americans on Thanksgiving. Me personally, I was ready to go to bed at about 6pm after having my dinner. I had thought it was just because I had eaten dinner at 1 in the afternoon and my body thought it was later in the day than it actually was. But then I got to thinking as to whether there was another variable that could have made me and so many others tired on Thanksgiving. In order to do my research best, I immediately ruled out reverse causation as the reasoning for the tiredness people experienced. Due to the aspect of time, it is impossible for tiredness later in the day make you eat a certain amount earlier in the day. Keeping the idea of chance in mind, I looked into potential third confounding variables that could explain a food coma. Obviously, the type of food is a very significant factor in how a person feels after eating. Less healthy foods can make a person feel gross and even tired with less energy than food with more vitamins and nutrients. Focusing mainly on Thanksgiving, I decided to look into the turkey specifically because that was the one food I could assume that the majority of Thanksgiving feasters eat. Turkey is a relatively healthy food. It is obviously very high in protein, which is important for your body to repair tissues as well as to make enzymes, hormones, and other body chemicals. These chemicals in protein certainly would not be the reason a person would feel so tired after ingesting, because they are so significant in a person’s well-being. Therefore, the high amounts of protein can be ruled out as a confounding variable. There is a very common thought that a certain chemical in turkey is what makes people so tired on Thanksgiving. 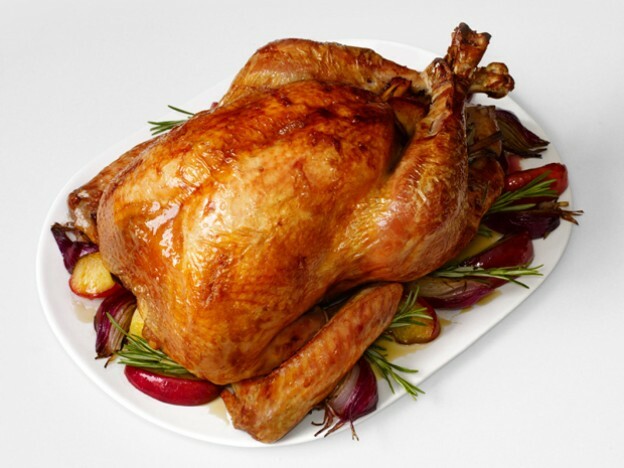 Turkey contains an amino-acid called Tryptophan. The high levels of tryptophan in turkey is what it thought the make people drowsy. However, that myth was proven false when the amount of tryptophan in turkey was compared to that in other meats. All meats have very similar amounts of tryptophan in them, so it is thought that the foods eaten alongside turkey, especially on Thanksgiving, is what makes people so tired. The majority of the sides offered at a Thanksgiving meal are carbohydrates which when breaking down make the body feel very tired. Like I said earlier, the time of day that people eat Thanksgiving dinner is much earlier than that of a usual dinner. With that in mind I thought that maybe the time of day could be a reason people get so tired after eating large amounts of food. However, this was difficult to research because there were no studies that controlled for the time of day people eat and the result that has on a person’s sleeping habits. Overall, the takeaway is that especially on Thanksgiving, the abundance of food digested and the time of day are both potential reasons as to why people feel so tired on Thanksgiving. In terms of food comas in general, the same theories may apply, however not a significant amount of research has been done because there are so many potential confounding variables. In order for a study to be conducted, scientists would have to control for the foods eaten, the amount, the person’s health, etc. Wether a Trump supporter or not, the GOP candidates victory probably came as a surprise to you. 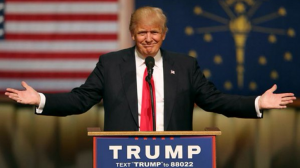 He was losing in nearly every poll and almost every forecaster and public record pointed towards a Clinton victory… but according to Leslie John, an associate professor at Harvard Business School, that may have been the exact reason Trump won. John is an expert in behavioral decision research, he studies flaws and biases in human reasoning. He credits the outcome of the election to overconfidence, social acceptance, and the elites desire for a certain outcome. John suggests that many in favor of Clinton didn’t think they needed to vote to assure her victory and instead stayed at home. The majority of figures in the public eye were anti-trump which gave the impression to the American people that the majority of America was anti-trump. This, however, was not the case. The people in the public eye are not an accurate sample of the country as they do not reflect the same opinions as the nation as a whole. These pollsters, forecasters, and analysts may have hurt their own chances at victory by being so confident. The fear of rejection and judgment may have also played a role in Trump’s Victory. John credits a response bias in the polling that behaviorists call “socially desirable responding”. He believes that many voters, especially women and minorities, feared backlash and supplied pollsters with the information they thought they should say rather than their true beliefs. This could mean that Americans who said they were voting for Clinton instead cast their ballot for Trump on election day. Either this, or they chose not to respond because they viewed the pollsters as “part of the establishment” and were not included in the first place. These dilemmas very likely lead to flawed data in the pre-election polls. A study done at Stanford University in 1979, “Biased Assimilation and Attitude Polarization,” may provide some explanation for the elections outcome as well. The study concluded that when you want to believe something and you are presented with evidence, you interpret that evidence in a way that supports your initial beliefs. This study was done by giving two groups with differing opinions articles both in favor of and against the death penalty. Both groups left more confident and polarized with their original opinion. This can be applied to the Presidential election as many in the media clearly desired a Democratic victory and may have subconsciously told the public their own biased interpretation. Wether you are pleased, upset, or indifferent about the outcome of this election, the fact that practically all the experts were wrong is very interesting. We must remember that there can be flaws in the collection of data and that just because some studies say something, doesn’t mean it is the truth. We learned in class that differing opinions are important to finding flaws in others research, this was not done enough between the like-minded media and pollsters in this election. 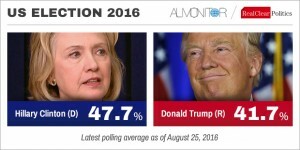 What are your thoughts on how to improve the polling accuracy in the future? Is it possible to really know the outcome of an election before it takes place?